I read a post today by a friend of mine in the blogging world that got me to thinking, or trying to think anyway. Bryan over at http://chiefofleast.com/ posted an article he reblogged from reformedbaptistfellowship. This was an article on today’s preaching in the church, or lack thereof. You can see Bryan’s repost here. Why is today’s preaching so different? Not all preaching, there are many good preachers of the Word yet, lest I be barbecued for saying otherwise. There is however a decline in quality teaching of the Word of God today…why? Many churches teach a feel good theology. They teach that Jesus loves you, well that is true and a good thing to teach. What about the rest of what God has to say? These types of churches only teach the “nice” parts of the bible, you know the parts that are easily palatable. This is doing a huge disservice to their congregations. Many other churches teach that God wants to give you all good things; this is totally reprehensible. God does not want to give you the world and everything in it, what would you need Him for then? (If we had all things, we would be busy enjoying them instead of where our true enjoyment should come from…God) Why then are we not all rich? Drive nice cars and have all the toys? This is called prosperity gospel teaching, and it is very damaging. Suppose you are a fresh new Believer…and you are taught in this kind of church. You are taught that you just pray enough, ask properly, and Walla…God your sugar daddy in heaven will give you all things. What happens when you don’t receive many of things you asked for, and after this has happened for a few years? People are going to become disillusioned and walk away from Christ, that is a terrible thing to happen because they were improperly taught and their false expectations were not met. No blame on God for this, the blame and the shame belongs to the one(s) teaching a false gospel. Today’s churches need to come back into preaching the way God intended it to be done. I don’t presume to speak for God, but some things are just blatantly obvious. God did not say anywhere in the bible that He would give us everything we want, people take verses in the bible out of context and make theses verses say what they want to hear. This verse has nothing to do with money and possessions. This verse is actually teaching that our true “wealth” comes in the form of our spiritual blessings in Christ. Yes Paul was talking in the surrounding verses about real money, but he was talking about giving it away, not lining our own pockets with it! The coming kingdom is not going to be about money, and being a disciple of Jesus is not about how much money and you can have and how many toys you own. 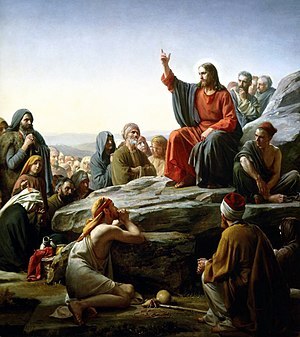 Another verse taken out of context, John 14:13-14 And I will do whatever you ask in my name, You may ask me for anything in my name, and I will do it. Now John 14:13-14 has a whole new meaning! Jesus will do anything for us that brings glory to the Father, context always matters! What we ask for must be within the will of God, not for our own selfish gain. The best is yet to come; we don’t even comprehend what that is…He did not tell us. We only know that we will be with Him as we are forgiven our sins and adopted as His children. Next time, part two which finishes this article on the Word and teaching it. 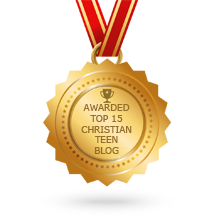 This entry was posted in CHRISTIAN FOUNDATIONS OF BELIEF, CHRISTIAN LIFE AND THE WORD, CHRISTIAN TEENS BLOGS and tagged Christianity, faith, God, gospel, Prosperity Gospel, teaching, The Word. Bookmark the permalink. Bless you many times over, dear Brother Greg,for drawing a clear line in the sand between preaching that teaches about God giving all good spiritual things to His children and a false preaching that promises all material things to God’s children! NOT SO! AMEN!